Basketball is a sport that involves a lot of quick movements. A good offense requires you to have a good ankle support. When you are crossing over or performing advance offense moves like euro steps, you need to make sure you execute them swiftly. A shoe that can provide good ankle support will enable you to perform these advance offensive moves with confidence. 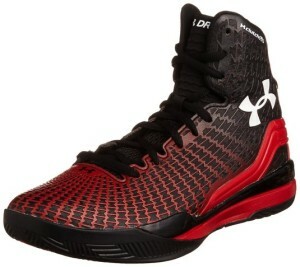 Let’s look at some of the shoes that will help your ankles stay protected on the court. Nike HyperDunk 2014 is one of the most popular basketball shoes made in 2014. There are several reasons for its popularity. The shoe is stable, light-weight and can provide good ankle support. It features a rubber outsole which provides durability to the shoe not just on the court, but out doors as well. 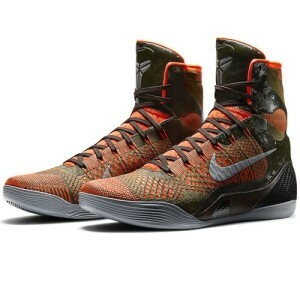 Therefore, this shoe can be used for playing streetball as well. It is also features a lunorlon sole which provides great cushioning. The shoe has a high-top design that will provide good ankle support by stopping your ankles from rolling incase you trip. In addition to that, the shoe features multi directional traction which allows you to perform quick movements without losing your traction. 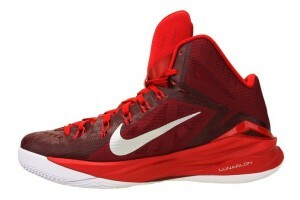 Nike HyperDunk 2014 TB also used Dynamic Flywire Technology that ensures lockdown. This makes the shoe feel part of your foot adding more stability to your moves. It also features a very fluid heel to toe transition. The shoe will be a snug fit due to its Flywire technology and will provide great traction while minimizing ankle rolling. Kobe Bryant’s line of basketball shoes have always been popular amongst players of all ages. Like his game, his shoes always perform on the court. The shoe’s unique high-top design provides great ankle support. The high-top collar on these shoes goes a little higher than other high-top shoes and provides a snug fit around your ankle. A Flyknit design on the shoe gives it light-weight and gives you a feeling that there is nothing on your foot. In addition to the light-weight, it allows for increased flexibility. Overall, this shoe is great because of its light-weight and flexible design. Many players are not aware of this, but UnderArmour also makes great basketball shoes and this is one of those basketball shoes that has it all -stability, flexibility and good support. Like the previous two shoes, this shoe also has a high-top design. The shoe’s high-top design provides great ankle support and grips your foot so you can feel in control in extreme situations. One of the unique features about this shoe is that it contains micro G cushions. These micro G cushions help keep a good locked feel for your feet and provide cushioning. In addition to that, the shoes have a very good traction and can be used indoors and outdoors. The snug fit allow for faster movements and helps stop on a dime. Overall, these shoes provide a good combination of light-weight, stability and support. All three shoes are great, but I like the Nike HyperDunk 2014 Tb shoe the best. There is a reason why it is so popular amongst the players. They provide great traction, support and stability and they look good too. If you are a beginner, advance player or just someone starting to learn basketball, these shoes will be a good match for you.